If you are staying on-property at Walt Disney World, Disney transportation can get you anywhere you want to go on property. Whether you want to rent a car while staying on-site depends largely on your personal preference, if you plan to visit locations off Disney property, and in some instances, how quickly or conveniently you want to get where you want to go, and just how much you really feel that a car is like a security blanket. Disney transportation between its resorts and the various theme parks is generally efficient and the least troublesome way to do things. Getting from one Disney resort to another can be very time-consuming, however. Disney transportation doesn't travel off Disney property, so if you plan to visit other local attractions, grocery shop off-property, or dine off-property, consider a rental car. If you are staying off-property, check to see if the hotel has a Disney shuttle. If not, you will need to rent a car. Make sure you check to see if the shuttle goes to all of Walt Disney World property and if there is a charge for it. Taxis and Uber are also options within the Walt Disney World Resort. Rates range from $5-$25 for destinations within the resort. These can be the most efficient options if you are trying to travel from one resort hotel to another. The small cost is worth the time savings for many. You can be at your destination within a matter of minutes. Taxis are often lined up at every resort hotel, waiting. Uber requires the use of the Uber App, but cars are often available within a 5-10 minute wait time. Uber is significantly cheaper than a taxi, costing about 50% less on average. Drivers are often Cast Members trying to make some extra money, and are usually very knowledgable about navigating Disney property. Monorail transportation is available between Transportation & Ticket Center, Magic Kingdom, and Epcot until 1½ hours after each park closes. Service to the resorts is available until 11PM or two hours after Magic Kingdom closes, whichever is later. The resort monorail services Disney’s Contemporary Resort, Disney’s Polynesian Resort, and Disney’s Grand Floridian Resort & Spa. Bus transportation service is available within the Walt Disney World Resort to anyone who wishes to use it. 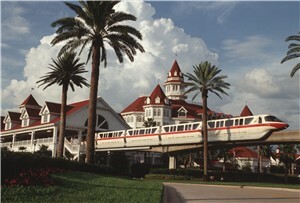 Buses operate from each resort hotel to the parks if no other form of transportation is available such as a boat or monorail. Buses also travel between parks. Buses to Disney Springs can only be found at the Resorts. Buses begin running approximately one hour before park opening, or one hour prior to Extra Magic Hour. Buses run until 1 hour after park closing. Buses run at Disney Springs until 2:00AM. 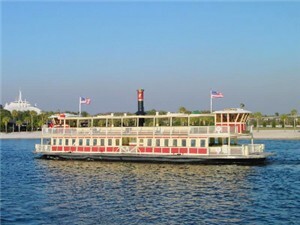 In order to get to Disney Springs from a theme park, guests must travel to a resort and transfer. Bus transportation to Winter Summerland Mini Golf will be the Blizzard Beach route. Bus Transportation to Fantasia Gardens Mini Golf will be the Swan/Dolphin Resort bus. The golf course is across the street from the Swan. How to get to the Magic Kingdom? Take: Monorail or Boat Launch or use the Walking Path from the Contemporary. Take: Bus to any resort. Transfer to Magic Kingdom Bus or take bus to Contemporary Resort and enjoy the short walk to the Magic Kingdom entrance. How to get to Disney's Hollywood Studios? How to get to Epcot? How to get to Animal Kingdom? How to get to Disney Springs and Typhoon Lagoon? How to get to Blizzard Beach and Winter Summerland? How to get to Fantasia Gardens? Take: Bus to Disney Springs, transfer to Swan/Dolphin Bus, then Walk. How to get to Wide World of Sports Complex? How to get to All Disney Resorts? Please Note: Approximate durations to the various parks can be found on individual Resort Pages.